Pra Upakut (Bua Khem) Arahant (Western Name; 'Upagupta') - Nuea Pong Long Rak Pid Tong - Sacred Powders with black herbal Laquer and Gold coating, and Sacred wood inserted in the base, from the Kru Wat Chana Songkram Amulet Hiding Place Find of 2495 BE at the temple of Wat Chana Songkram in Banglamphu. This exhibit measures 2.2 Cm high x 1 Xm wide base. Both larger and smaller models are found in existence, ranging from 2 - 3 Cm in height and 1 - 1.5 Cm in width. All sizes are equally valued and equally rare. As the Chedi Stupa was disassembled, Luang Por Niyom (abbot of Wat Chana Songkram) instructed Tan Jao Khun Pra Wimon Gijjaraks (Luang Por Siri Adtramo), who was in charge of shrine preservation, to go into the Chedi to investigate within, to see if there were any hidden relics. Luang Por Siri reported to have found amulets made from Sacred Earthen powders, in small quantities, mostly broken, and that the larger number of unbroken amulets had already been plundered at a previous date by robbers.However, behind this Chedi Stupa, was another old Chedi, which was a larger one. 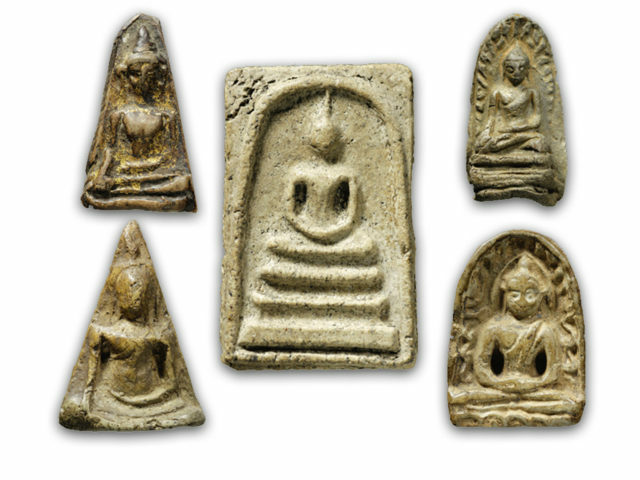 They drilled through neck of the Stupa, and found a batch of the same kind of amulets which had been found in the first Chedi Stupa. This was on the grounds of the previously standing Wat Klang Na, as a way of makiing merits for Buddhism, to reduce his bad Karma from the decades of warmongering with the enemy nations. Grom Pra Rachawang Boworn Maha Surasihanat (2287 BE - 2346 BE) spent many years fighting to protect Siam against the enemy invaders, and fought on land with the army, as well as on boats with the navy, and was involved in much Killing. And so the temple of Wat Chana Songkram was built up, and the Chedi Stupas were filled with amulets, to make merits to atone for the deeds of war. The temple is called 'Wat Chana Songkram' meaning 'Victory of the War' which celebrated the many victories he had fought in. Once the amulets had been all gathered and safely counted, they were separated into their respective types. 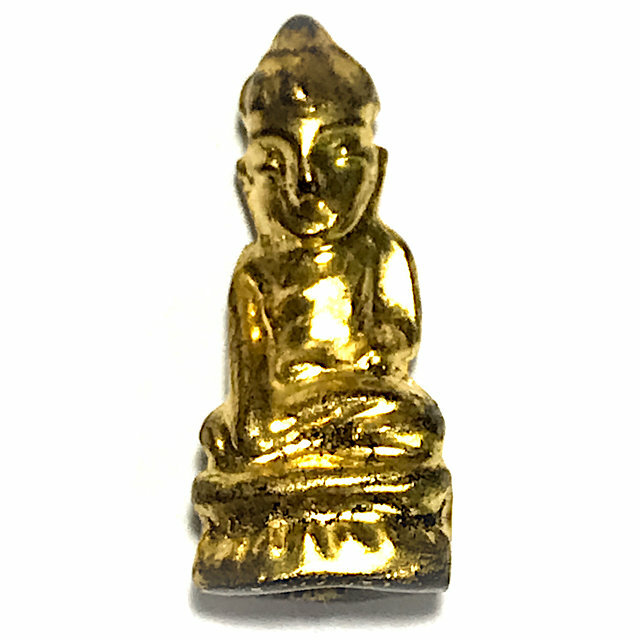 It is said that the ost beautiful of all were the Pra Pid Ta and the Pim Samati Khad Paetch meditating Buddha, but that a large number of other very beautiful amulets were also found, including this beautiful Pim Pra Upakut Bua Khem. Pra Upakut was an important Arahant Monk of the time of the reign of King Asoka in India. Pra Upakut (also known as Bua Khem in Thai, meaning pointed lotus flower, which refers to the pointed lotus on his head) Pra Upakut is highly revered by Indian Buddhists, as well as the Mon, Tai Yuan, Lanna and Isan people in Thailand. Once in olden days, the Mon Hilltribe People presentid his Majesty King Bhumipol Adulyadej with a sacred Upakut Buddha statue, as his Majesty was ordained as a Monk, and the Pra Upakut was also mentioned by Hius Majesty King Rama 5 in his novel "Pra Racha Piti 12 Duean' (meaning '12 Months of Royal Ceremonies'). Pra Upakut , otherwise known as Pra Bua Khem, was an Arahant who the Buddha praised for his great magical powers, and who was said by the Lord Buddha to be the most powerful of all the Arahants. Before the Buddha entered Nirvana, he asked Pra Upakut to remain alive until the coming of Pra Arya Sri Maedtrai (Maitreya), and protect the Buddha Sasana and the teachings of the Dhamma. 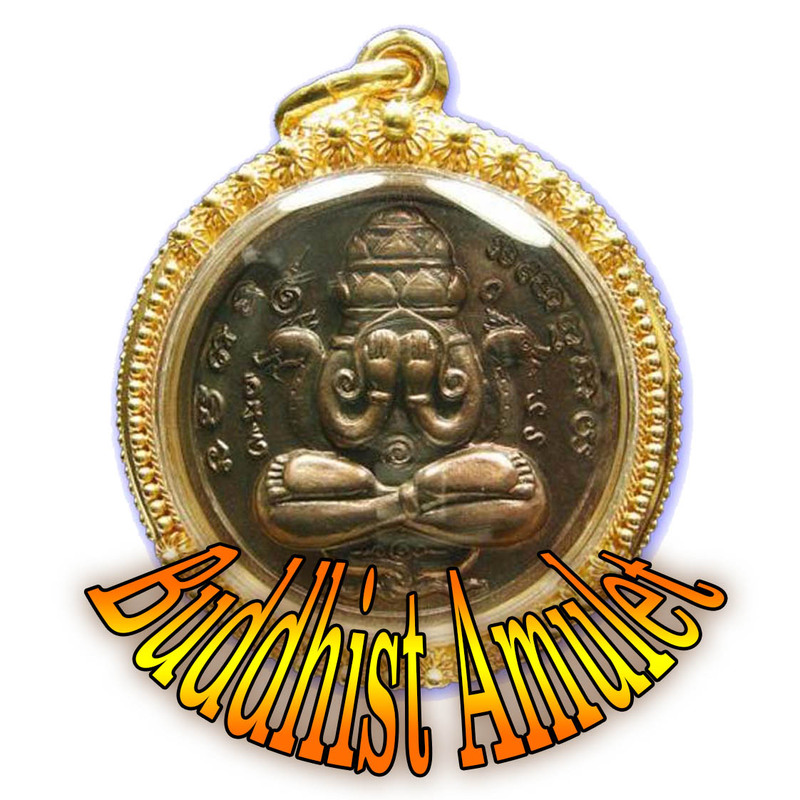 It is believed by Thai Buddhists, that he is still alive to this day, and resides in the middle of the Great Ocean, with a Lotus leaf on his head, and remain alive throughout the Aeons to rise to the assistance of the Dhamma whenever needed, and to help Sentient Beings. Khem means needle. It is interesting to note, that the Ancient Burmese Upakut Buddha statues have a ritual insertion of nine needles within various points of the statue for method of empowerment. Pra Upakut was a Monk in the times of Maharaja Asoka the Indian king who first promoted Buddhism. In this time Buddhism was experiencing a lot of disarray and downfall because a lot of false people were entering Monkhood just to make money or eat free. The statue in the above pic is a Burmese style one and is called one of two names 1. Pra Upakut, or Pra Bua Khem – if made out of Bodhi tree wood is also called Pra Takhinasakhaa and made from a branch of Bodhi tree that has died naturally and faces south (or in some legends, East). I suppose the tale that you were told to place him in the middle of a pool of water is because his entering into enlightenment was whilst sat in the navel of the ocean. In geography in Thai we would call the navel of the ocean the sargasso sea.. but it might just mean in the middle of the ocean somewhere. Some people will place the statue in the middle of a shallow bowl filled with water as a way of installing the Buddha in the place of worship, reflecting the great meditation of Pra Upakut. One reason is that he is a subduer of Mara demons and thus protects you from danger. The second reason is that he is a keeper of purity precepts whilst sitting in the middle of the water – this means he will prevent you from having any heated feelings or things that cause you to be disturbed, angry frustrated or unhappy..all these things are “hot” feelings.. the water around this Buddha, and his purity will keep you and your household cool and peaceful instead of hot and bothered. No heated disturbances in the household and family. Pra Upakut is severely revered also in Chiang Mai province and most amulets and statues of him will be made there. This is probably the Burmese influence too because in past times Burma was always overlapping into the province and even to this day you can see that the monks in North Thailand wear red robes like in Burma not yellow like in the rest of Thailand. 1. (at home) happiness, calm, peace etc (all what you wish for).